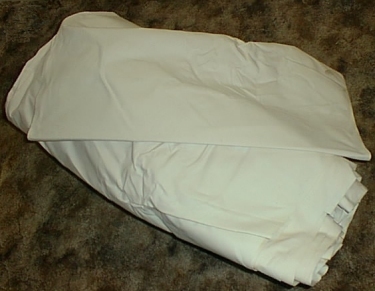 Our bulk Cotton Canvas is great to have around. It can be used for oh so many things. This canvas is a twill weave and is 100% cotton. It is approximately 9 oz, is untreated, and comes in a 60+ inch width and in whatever length you wish. So, how many yards do you need? 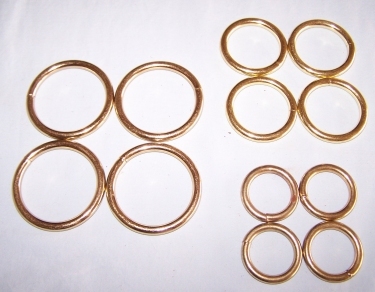 Our brass rings are made from solid steel with the ends welded together and then brass plated. These Brass Rings are the best you can find. Available in sizes 1", 1 ½", 2", and 3". There are lots of uses for them in every day life, in the workshop, on the farm or just plain camping in the woods. Great for rope slides on your tent or put them on your bag straps for easy adjustments. Our steel Tent Stakes are made from 3/8 inch square stock. They are approximately 12 inches long. They have a tapered point at the bottom so you can pound them in easily, and an "L" angle at the top so they are easily removed. Nicely priced at $4.00 each. Tent ties can be made from our 100% cotton Tie Material . We carry 4 widths: 1/2 inch, 1 inch and 2 inch and we sell all of them for $1.00 per yard. These are great for replacing the ties on your tent, handles on a bag, ties for skirts, webbing on chairs, and many, many other uses. Every tent needs a good piece of UnManilla Rope to secure it. Un-manila rope looks like regular manilla and sisal rope as soon as it wears a little bit. 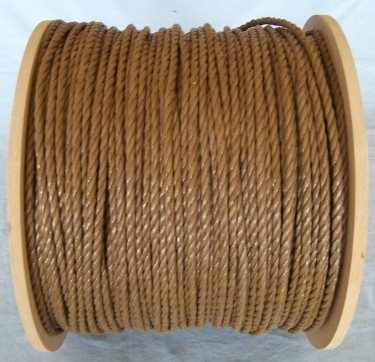 Unmanilla rope does not stretch like regular rope does, it does not degrade in the wet rain, and it is stronger and will last longer. Priced by the foot.